The VPN Lab - Knowledge Base - Can I Trust My VPN? 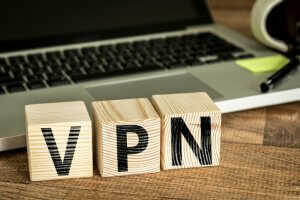 There are several reasons why people opt for VPN services. The most popular one is the ability to access restricted content and unblock websites, of course, but that is certainly not what VPNs were originally created for. VPNs are all about security and privacy. 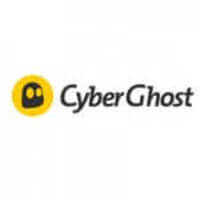 This technology allows you to stay safe and secure online, which is becoming harder and harder these days, when hackers and other “bad guy” types and agencies are coming up with constantly more sophisticated ways to intrude on your privacy and spy on your online activity. 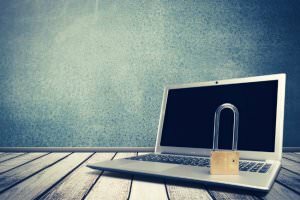 VPNs are designed to protect your data and your traffic from unwanted looks and from all sorts of manipulation and abuse that can arise from it. This technology works as a tunnel through which your traffic flows encrypted, so that no one, except for you and your VPN service provider, knows what you’re up to out there. And that’s precisely where your dilemma lies – how can I trust my VPN not to spy on my traffic, use it for their own benefit, sell it to marketing companies, or worse? Is there any way to be sure, and, if not, how to protect myself? If you signed up for a VPN service only to be able to watch shows on US Netflix or Hulu, or to access sites that are off-limits to you for whatever reason, you are probably not concerned with security or privacy – but you really should be. First of all, everyone should stay as secure and anonymous as they can, these days. Second, content services like Netflix are not exactly crazy about what you are doing with VPN and their content, so you still need to find a VPN provider that will allow you to do what you want to do (i.e. binge-watch TV shows) while promising not to tell anyone you’re doing it via VPN. In order to do that, that VPN provider needs to assure your traffic is super-safe and encrypted, and your privacy is protected. Which leads us to the next most common reason why people use VPN which, in our humble opinion, should be the most important reason, but what can you do…Anyway: safety and privacy. If you want your VPN to protect your traffic from snoopers and hackers and your identity from various intruders, stalkers and agencies, then you should definitely opt for a VPN service that guarantees just that. Fortunately, there are many of those out there, like NordVPN (you can read our NordVPN review here), which not only offer state-of-the-art encryption, but also promise not to give away your data to anyone. This brings us back to the question of the hour: how do I know whether I can trust my VPN? Obviously, before committing to one VPN service, you need to conduct some research. This sounds like a tiresome task, but it really doesn’t have to be. There are a couple of things to keep in mind when picking a VPN for yourself, such as speed, performance, reliability, customer support, number of servers, etc, but the ones that count the most for our subject here today are security and privacy. When we talk about VPN and security, we are really talking about encryption and protocols. If you are not particularly tech-savvy, these words probably sound scary and impossible to grasp, but what they basically mean is the level of security you can expect from a service. Remember the stories from the WWII and Cold War, when armies and soldiers communicated with each other in codes, so that the enemy couldn’t find out what they were up to? Well, it’s similar with your data. With VPN, every single piece of data gets encrypted, so that no one, except the one holding the encryption key, can know what the data means. This is the most important thing about VPN and pretty much every VPN provider does it well, or at least reasonably well. Privacy is another issue, though, and it is the issue where the question of trustworthiness gets resolved, either positively or negatively. Can I trust my VPN connection to protect my privacy from the others, but also from the VPN company itself? The key to this question lies in little things that in the industry are called logs. Logs are basically records of your activity – when did you connect, for how long and to which server, what websites did you visit, what kind of data you sent and received, did you download something, did you do anything not exactly legal, and so on. Some VPN providers do not keep any logs at all. Some keep some logs, usually about “innocent” things like connection times and their duration, things that you don’t really care if they record or not, and some keep all logs, forever or for a specific period of time. The problem with logs is that, if a VPN provider keeps them, the authorities can ask for them and they are obliged by the law to give it up. Obviously, you don’t want to sign up for a VPN provider that will keep logs on your internet usage and then possibly turn you in. Even if you don’t do anything illicit online, you still want to remain anonymous and you want your privacy intact. After all, that is precisely why you needed VPN in the first place! We won’t get into whether a VPN provider that keeps logs has any purpose at all, let’s just say you want to avoid these, and move on. The same goes for those that “only keep some logs” or “keep logs that are required by the law.” It is pretty much the same thing. The next step on determining whether you can trust a certain VPN service provider is learning how to find out about a company’s logs policy. In many cases, a VPN company that has a strict no-logs-ever policy will make it very clear on their website, since this feature is one of their best qualities and naturally they will want to show it off. However, even if the website screams “NO LOGS EVER!” you might want to double-check on that. Go read their Terms & Conditions – they can’t lie in those. Another thing you can do is – ask. Many of these services have live chat option, so you can quickly and easily find out about their logs policy. In addition to the logs policy, you should also be careful about geography. Some providers are located in countries that have no data retention laws, and those are generally popular with users looking for extra privacy, security and anonymity. However, don’t rely too heavily on geography. Your country’s law enforcement agencies, international law enforcement and even private industry groups can exert all sorts of pressure to the company, no matter where it is located. As you can see, it’s pretty much all about transparency and logs policy. However, just because a provider is transparent in their Terms & Conditions and promises not to keep logs, that doesn’t mean you should automatically sign up with them. There are some other things to take into consideration, such as technology. A company that does not have the right, state-of-the-art technology is simply not able to maintain its promises regarding security and privacy. There are many bogus, fly-by-night VPNs around with a server or two and poor technology that are extremely prone to attacks and breakdowns, and there is no way they can keep you safe and anonymous. Always go for well-established VPN providers with a long track record, excellent back-end technology, military-grade encryption and a lot of servers all over the world.